NEW WILMINGTON, PA – Dr. Jeffrey T. Bersett, Westminster College professor of Spanish and film studies, will present the 2018-2019 Henderson Lecture at 7 p.m., Wednesday, Oct. 3, in the Witherspoon Room of the McKelvey Campus Center. After the commencement ceremony ended and the final toll of the bells signaled the end of the semester, five students and two professors boarded a plane for the Dominican Republic for an educational service trip. The group spent a week observing classrooms, teaching English and working with educators in the community of Sabaneta de Yásica. 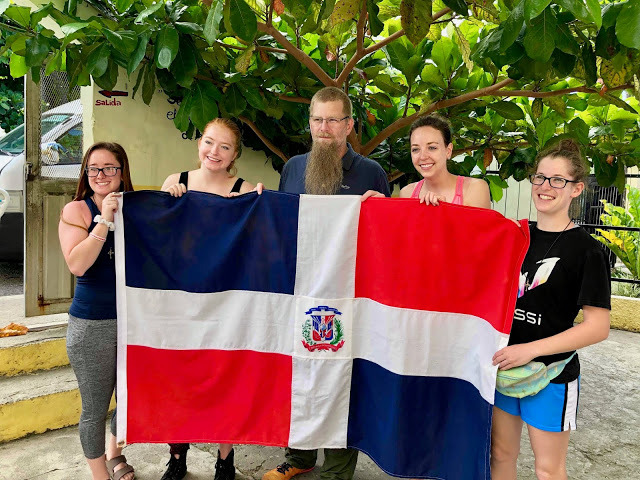 This spring, Westminster College was represented in the Dominican Republic by a body of alumni, students, faculty, administration, and retired employees, who served, witnessed, and grew together. Westminster College will host the 4th annual Tournées French Film Festival, featuring six consecutive French language films at 7 p.m. each Tuesday beginning Jan. 26 in Mueller Theater, McKelvey Campus Center. The events are free and open to the public.